Since young, my scalp is very sensitive. Like my mom, I have dandruff and my condition is really bad as compared to the norms. I have really huge and scary dry flakes that will fall off whenever I scratch my head. It was really bad as sometimes my scalp would feel so irritated that it started to bleed. Sounds bad, right? I often do this to horrify my friends by showing them that snow is possible in Singapore. Hahahaha! I often do this to horrify my friends by showing them that snow is possible in Singapore. Hahahaha! One of the best way to help to my scalp is with a scalp treatment. 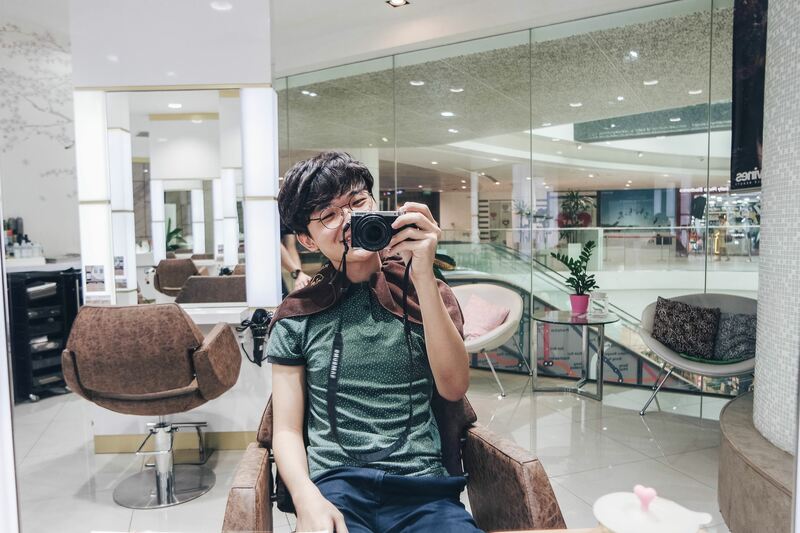 I’m glad that Kenjo Salon offers such service and I would show you the result later. It is important to take care of your scalp, not just your hair as you could keep your hair from feeling greasy if your scalp is healthy. Your head would benefit the treatment as the treatment will deeply cleanse your scalp by removing deep skin cell and calm it down. 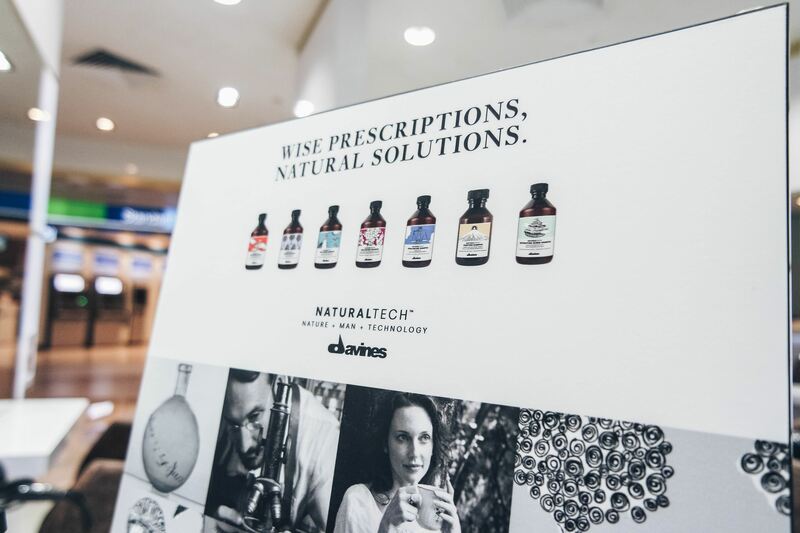 They will be using products from Davines for this treatment. Their Naturaltech series smelled so good and aromatic as it contains natural essential oil to soothe and calm me down. They are extremely lightweight to their scalp and hair but still extremely effective. 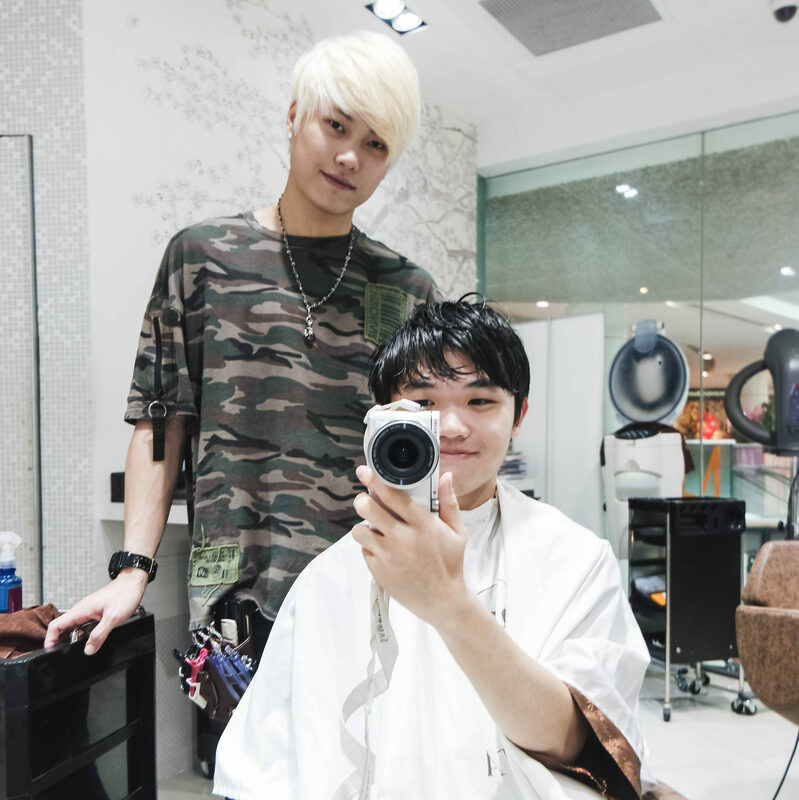 My hairstylist, William started the treatment by giving me a massage on my head with Davines Well-Being Massage Oil to get me to relax. 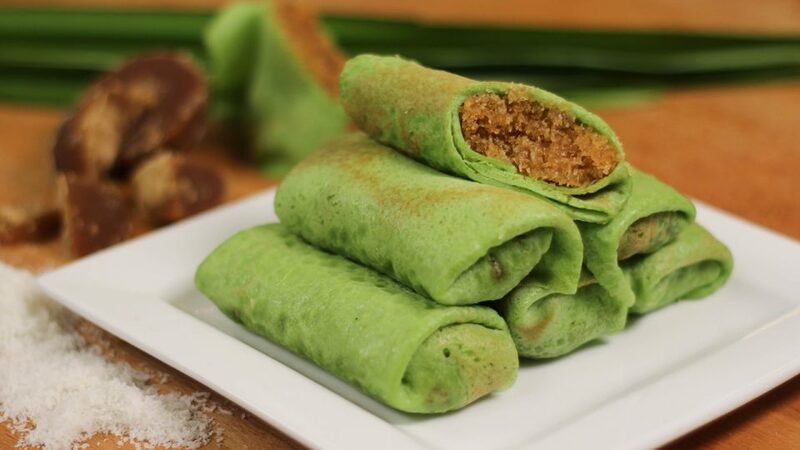 The Well-Being series contain Phytoceuticals extract which has high antioxidant power. This series is meant to hydrate my scalp, keeping it moisturized and soft. Next, he used a machine that emits infra ray and water mist on deep into my scalp to kill any bacteria and open my pores to get ready for cleansing. It was very relaxing. Afterward, William washed my hair with Davines Shampoo. For the Shampoo, William hand-picked and told me that he will be using the Calming series instead. It is meant for calming down sensitive scalp. Just like the previous series, it smelled so good because it uses essential oil. Before the final step of the treatment, William would need to trim my hair to get the hairstyle I wanted. Finally, to end this whole treatment, he sprayed some lift in serum for my scalp. It is to make sure that my scalp remains calm and hydrate a longer period of time. I definitely feel that my scalp is less irritated now and at the very least, I don’t have large dead cell flakes and bleeding condition anymore! YAY!! However, I personally feel that you should do this treatment periodically to keep your scalp healthy and happy. 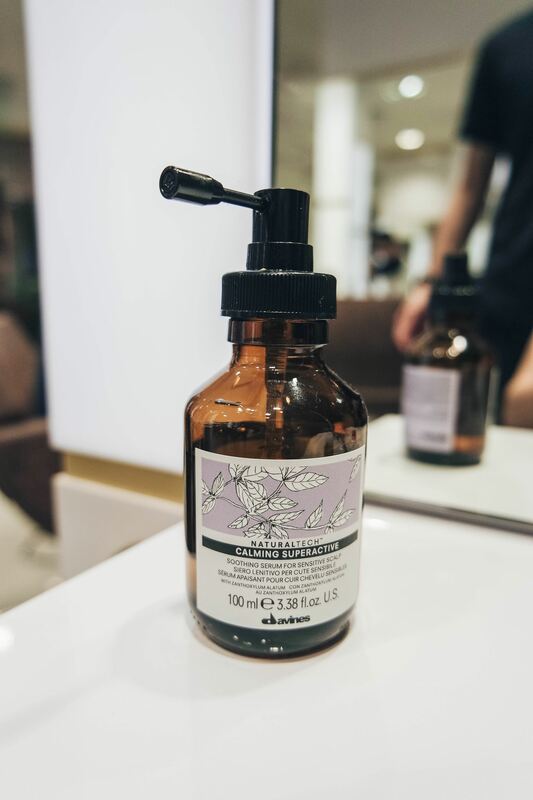 There is no such thing as one-time off thing, everything has to be maintained to be in excellent condition, so same thing to your scalp and hair. My condition has definitely improved, but I’m after a few more rounds of the treatment, it will be even better! For the month of April and May, there are promotions ongoing in the salon! 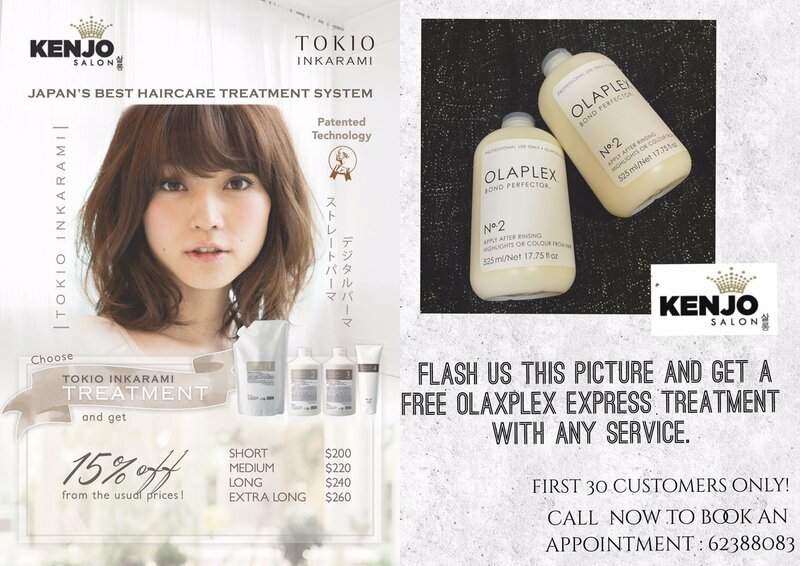 Get 15% off for their Tokio Inkarami treatment or flash the picture below to get a FREE Olaplex Express treatment for your hair with ANY service. 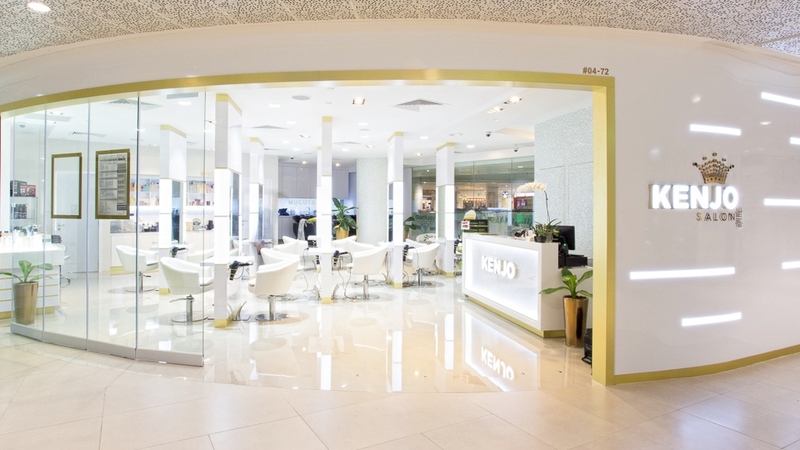 Make sure to check out Kenjo Salon @ Plaza Singapura! Good news, quote “ZaTaYaYummy” at Kenjo Hair Salon to get 15% discount for all their hair services. 20% for students under the age of 21. 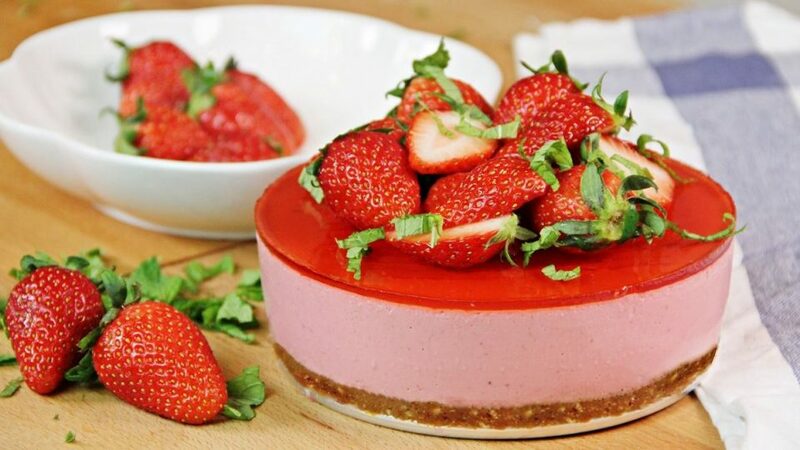 If you are doing it for the first time, you could get 15% off + free treatment, so worthy! 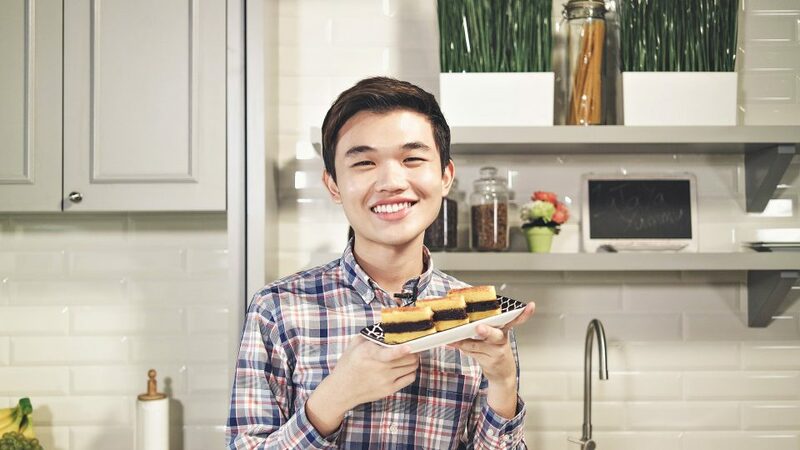 Limit to first 30 customers for each month till the end of May. Please call in and book for an appointment to check for availability first! 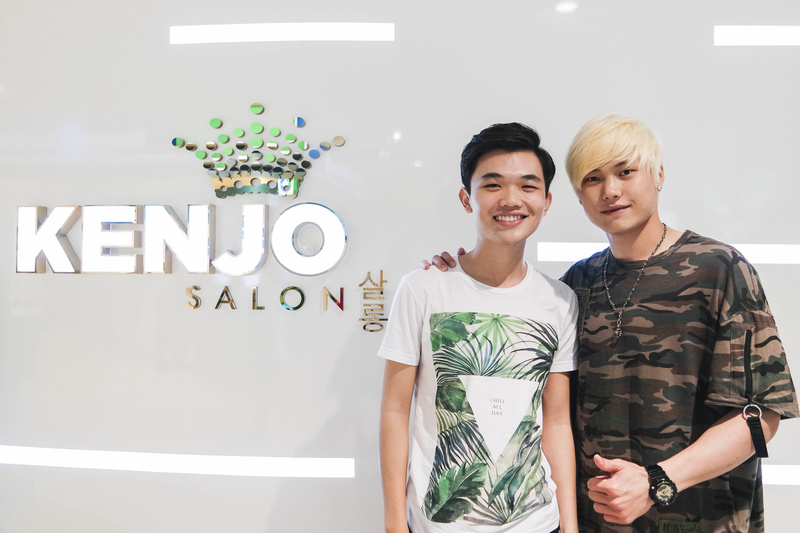 This entry was posted in Blog and tagged hair, Kenjo Salon, Olaplex, review, Salon, scalp, scalp treatment, Singapore, sponsored on April 20, 2017 by Zong Han Chua. I have been perming so often that I am starting to worry about my hair condition. 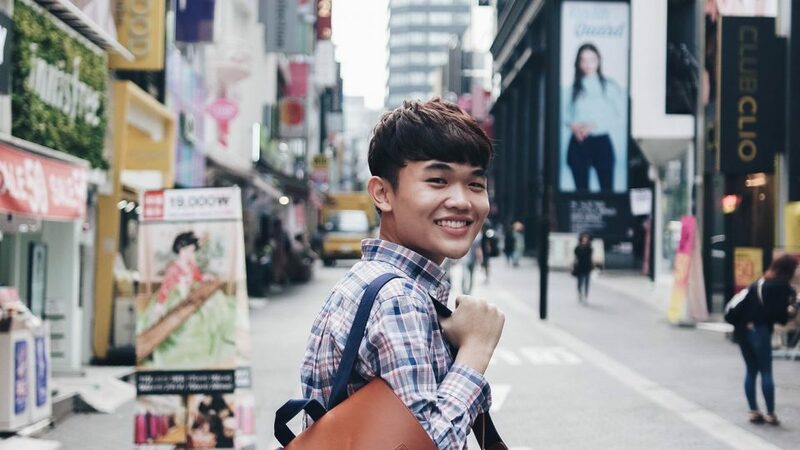 To maintain my permed hairstyle, I would have to perm almost every other month! That would be almost 6x per year and it’s insane! There was a period of time my hair was so frizzy that it did not look good at all even after a new perm session. 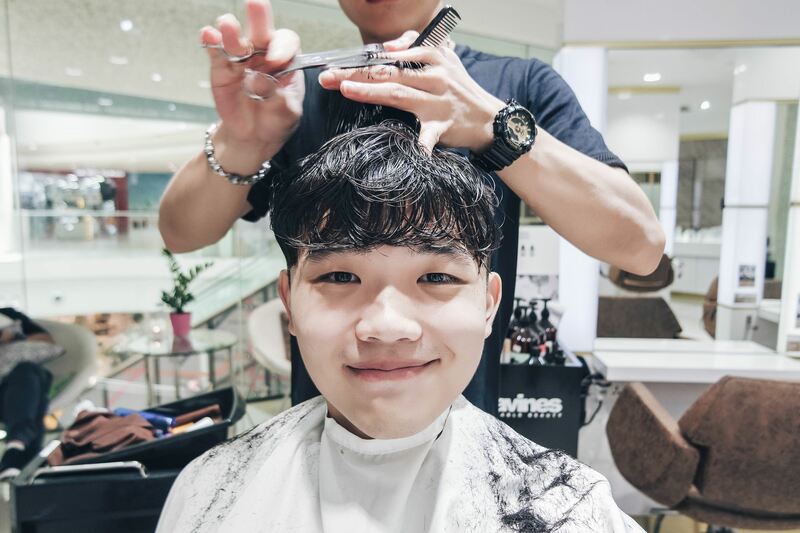 I realized that taking care of my hair and making sure that it is in good condition is also very important as it is one of the keys to having nice hair. Thanks to my new hair sponsor, I’ll be perming my hair alongside with Olaplex Treatment at Kenjo Salon. Many people have been raving about Olaplex treatment! 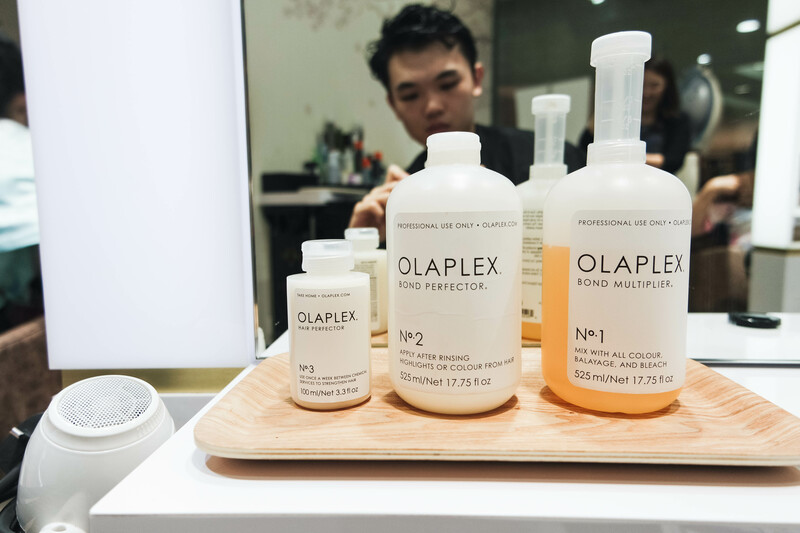 Olaplex is a new reconstructive treatment developed by top scientists in Santa Barbara that enhance the internal structure of the hair and prevents damage that occurs during chemical services like perming or coloring. I’ll talk more about it later in this post blog. 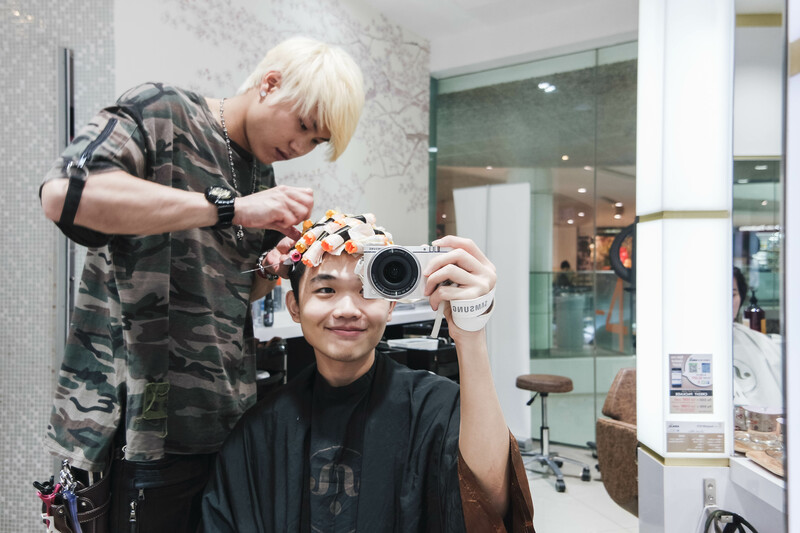 Conveniently located in Plaza Singapura, Kenjo Salon is a Korean Salon with a combination of local and Korean stylists. They are very professional and will strive to provide their customers the ultimate salon experience. 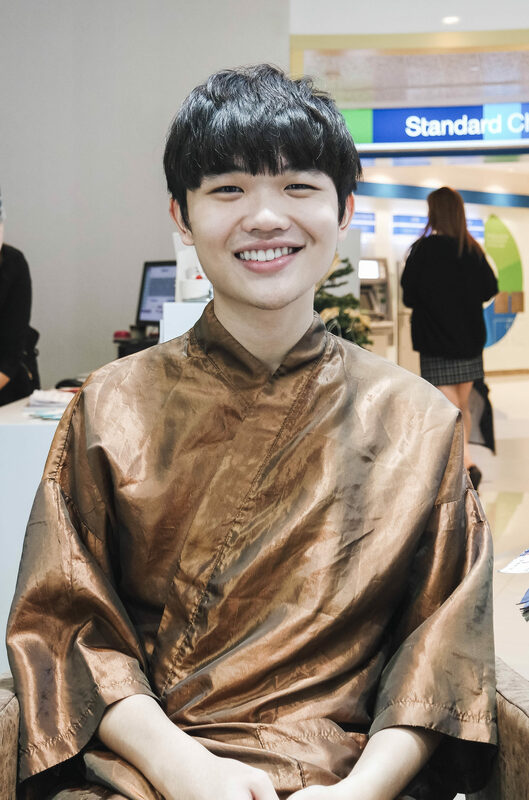 When I got into the salon, I was greeted by one of the receptionist and was escorted to a table to wait for my hair stylist. I love the fact that they have many choices of beverage to choose from! 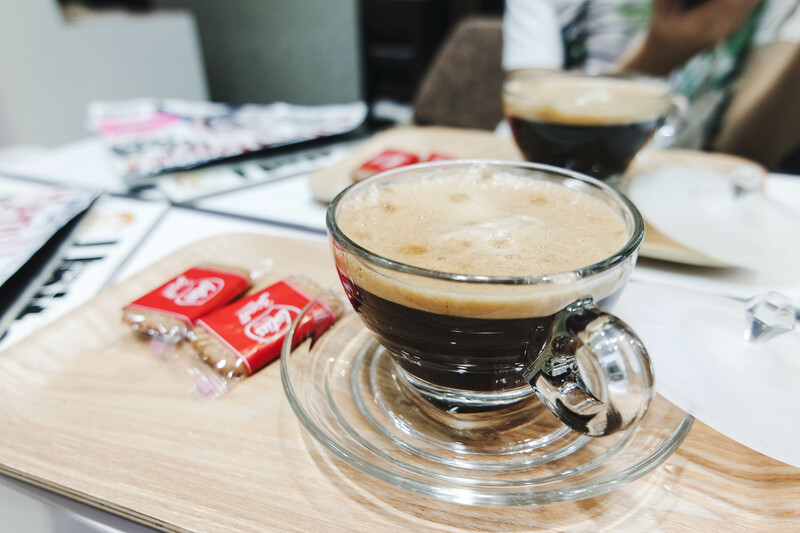 As usual, I would need my coffee to kick start that day. Here’s a picture of my hairstyle before I start. I looked damn unkempt! 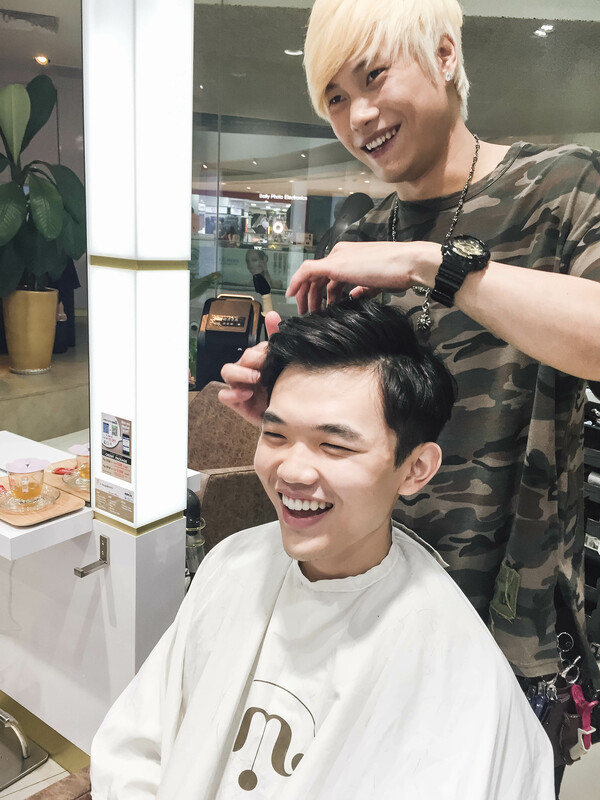 I consulted William with the hairstyle I want in mind and he advised me with the necessary procedures I would need to do to achieve the best look. 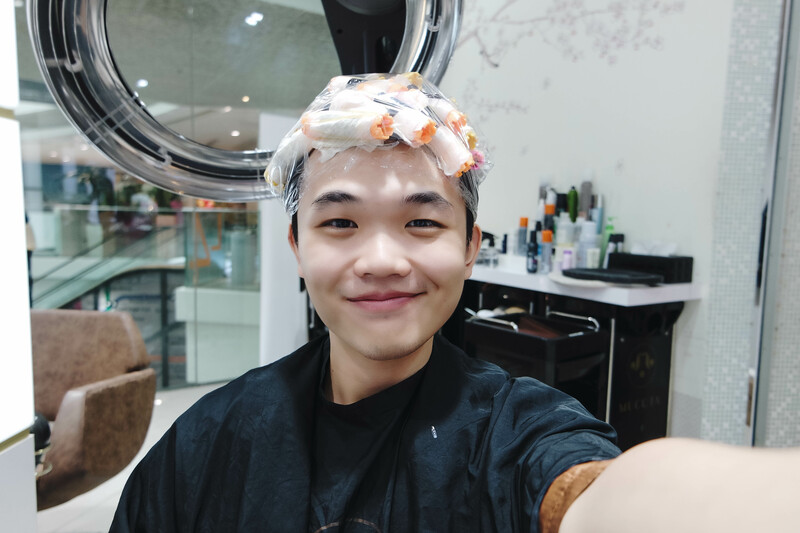 To protect my hair, he advised me to do my perm with Olaplex treatment. As I mentioned above, I heard great reviews about Olaplex and was glad that I could try it out myself here in Kenjo Salon. I then start my procedure with a hair wash followed by William cutting my hair effortlessly. Olaplex is a new reconstructive treatment developed by top scientists in Santa Barbara that enhance the internal structure of the hair and prevents damage that occurs during chemical services like perming or coloring. It is a bond multiplier which is unlike any other products on the market right now. 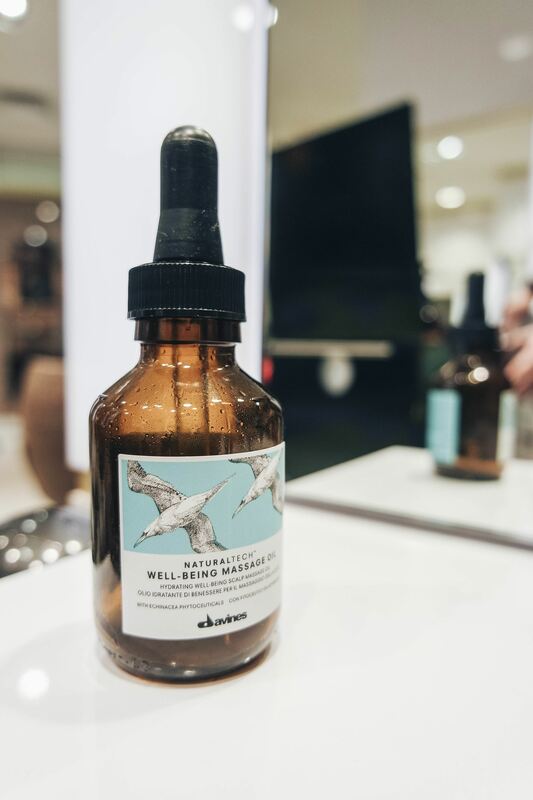 This actually connects any broken disulfide bonds in the hair, restoring the original strength and structure of the hair. Olaplex is not like a conditioner as it does not coat the hair in silicone to make it ‘smooth’ temporary. Since perming my hair will break numerous bonds in the hair, the integrity of my hair will be compromised. 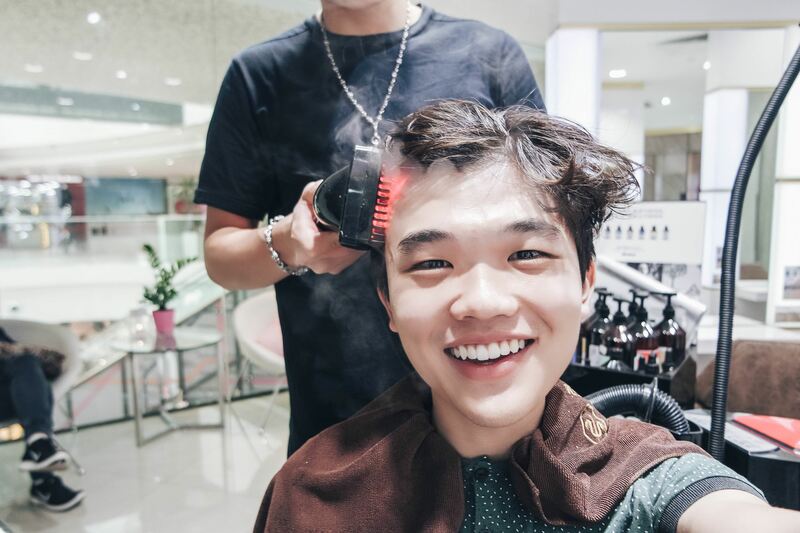 So an Olaplex treatment is highly recommended to repair the damaged caused by perm. 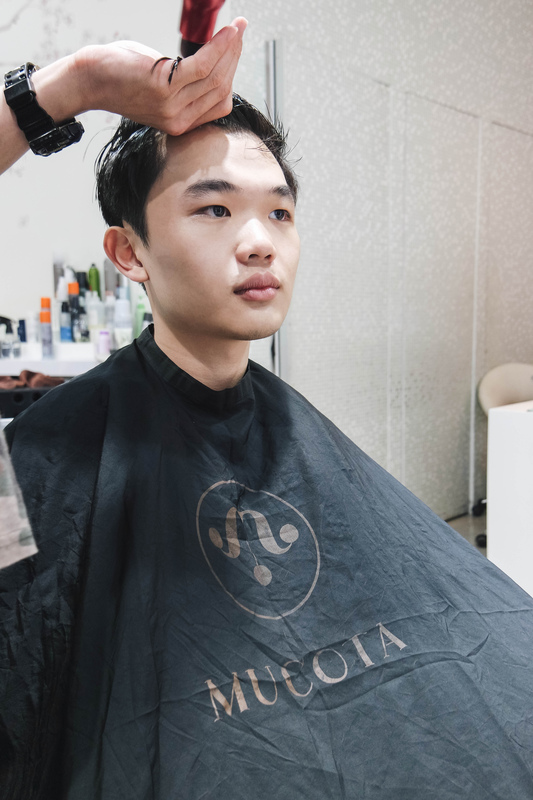 After my wash and cut, William applied a lotion-based Korean perming chemical to get it started. 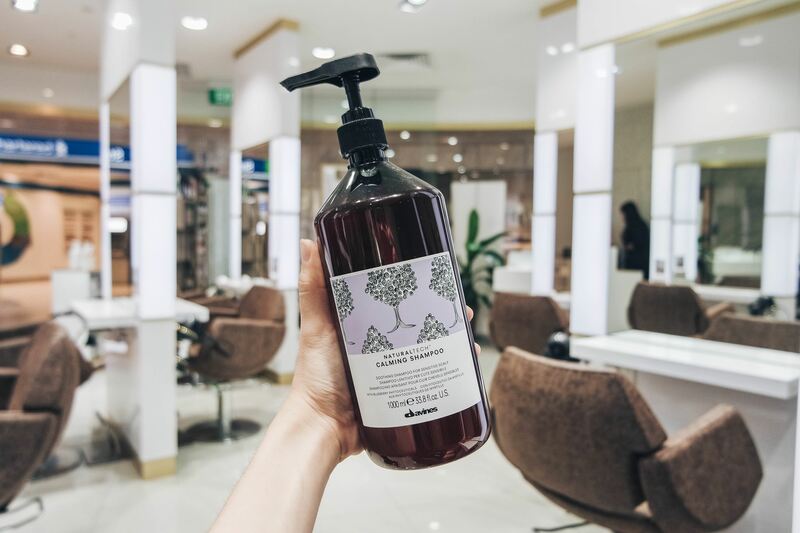 I was astonished that the chemical that they used was a lotion type and not those conventional watery perming chemicals you would get in other salons. I would totally prefer the lotion to the typical perming chemical as it was not messy at all and I do not need to worry about the chemical getting onto my face and into my eyes. So excited for the final result later! My Olaplex treatment was done together with my perm. The Olaplex treatment was fairly simple. It was drizzled on my hair at the end after applying neutralizing chemical of the perm. 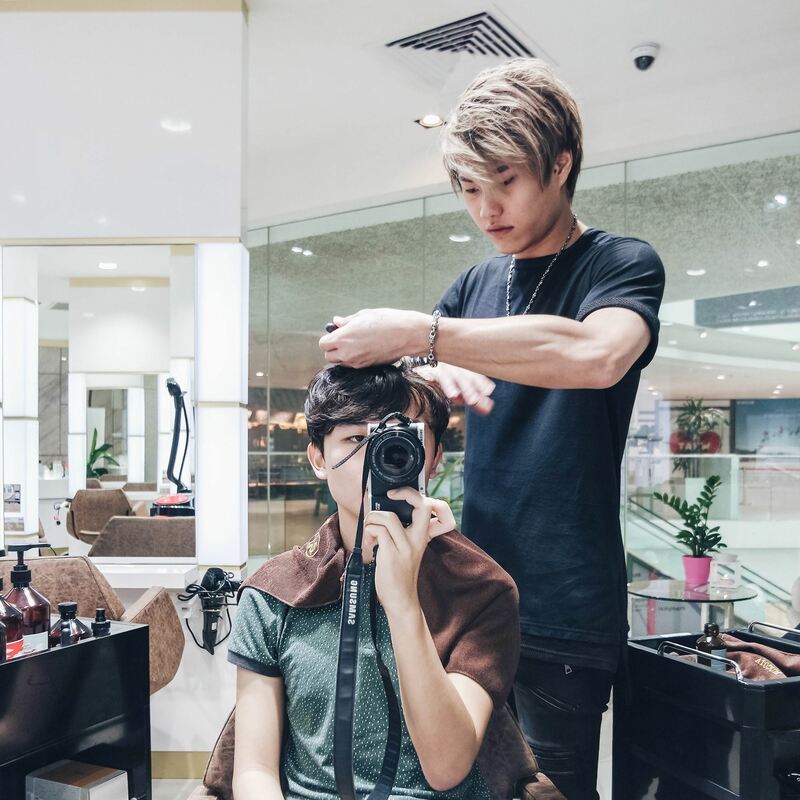 Kenjo Salon had incorporated Olaplex treatment together with the perm. The result of doing this was impressive as my hair retained more of its elasticity and shine. Look at the shine and the suppleness of my hair! 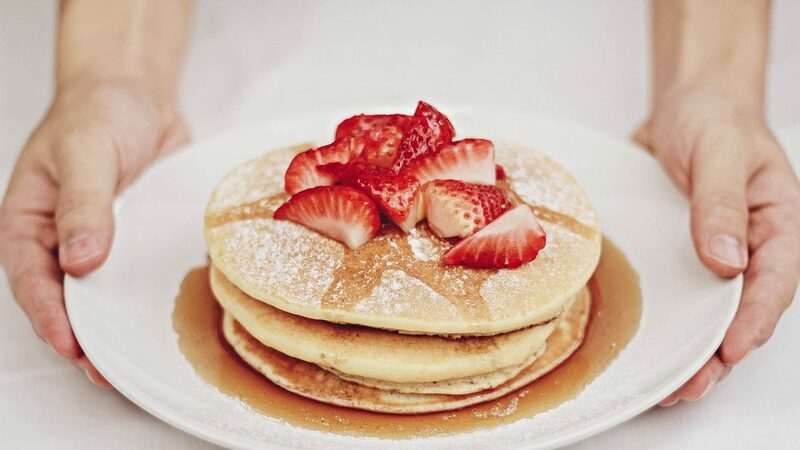 The end result! 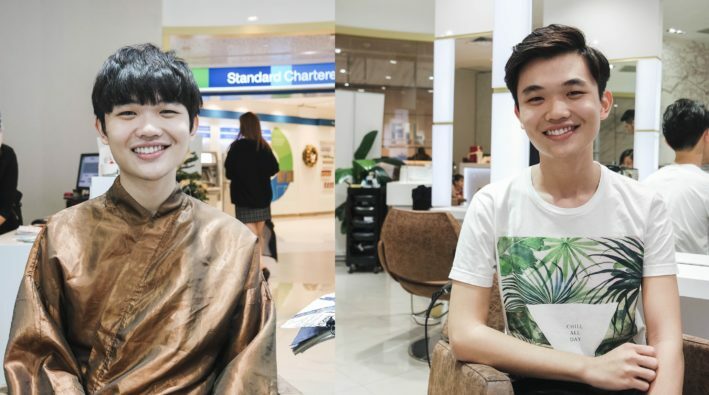 My hairstylist, William told me that I also could style my hair differently if I want to for a formal event. Yet, I still very much prefer how my hair turned out when its down for a more casual look. Thanks William for styling me up! It was awesome! A week after my perm and treatment with Kenjo Salon. I love how my hair turned out. It looks gorgeous! 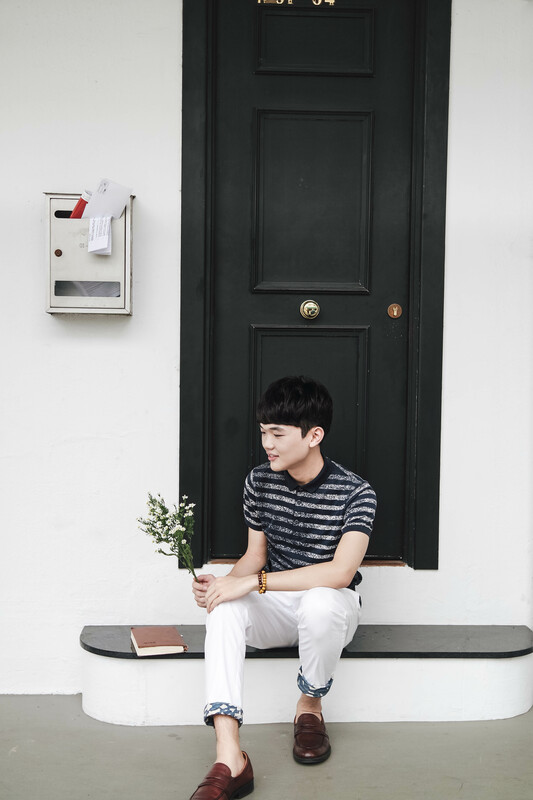 More pictures of my Tiong Bahru shots will be out soon, so stay tuned! 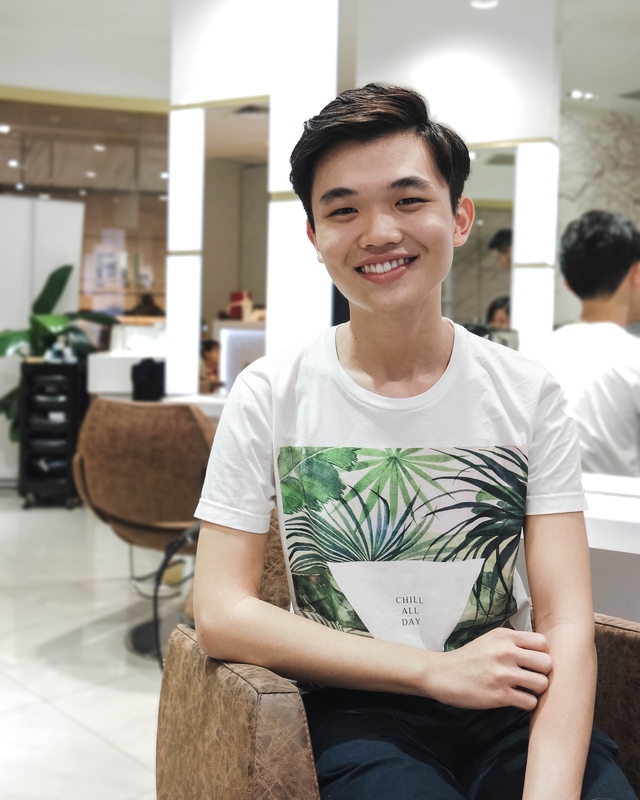 This entry was posted in Blog and tagged hair, Kenjo Salon, Olaplex, review, Salon, sponsored on January 13, 2017 by Zong Han Chua.